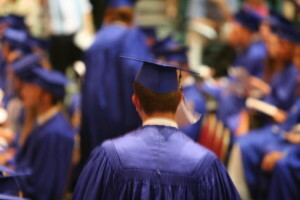 SCIOTA, Ill. — Officials at an Illinois high school recently prohibited a valedictorian from speaking about Jesus in his graduation speech. Student Sam Blackledge, 18, told the Todd Starnes Radio Show that he was called to the principal’s office at West Prairie High School last week where it was outlined by school and district officials that he needed to take his religious references out of his speech. Blackledge told the officials he wanted to speak from personal experience, but his request was denied. He was informed that his speech might come across as being an endorsement from the school district. Blackledge therefore offered to begin his valedictorian speech with a disclaimer. Officials said no. Blackledge says that officials advised him he could deliver his remarks as long as he did not specifically mention Jesus. He agreed to abide by the district’s wishes as he believed that he should respect those in authority. Blackledge’s speech, which centered on the themes of living “a life devoid of evil, full of justice, full of love, and full of forgiveness,” was supposed to have pointed students to the cross of Christ. “I want you to think for a moment: Is there any event in history where these four converged in one place? Where did evil, justice, love and forgiveness converge at a moment in history? Can I take you to a hill called Calvary and show you the person of Jesus Christ?” he was to have asked. “The cross of Christ shows us our own evil hearts, that we would put an innocent man up to die. Christ came to show us God’s justice in dealing with the unfairness of the world. The cross demonstrates to us the very love of God who died in our place and how we find at the end of the day that without His forgiveness we would never make it,” Blackledge was to have declared. In Acts 5:27-29, the Scriptures outline that Peter, who had personally walked with Jesus, and other apostles of the Messiah were similarly forbidden from preaching in the name of Christ. They refused.